The Custard TV: New-look iPlayer and rolls out exclusive content. New-look iPlayer and rolls out exclusive content. 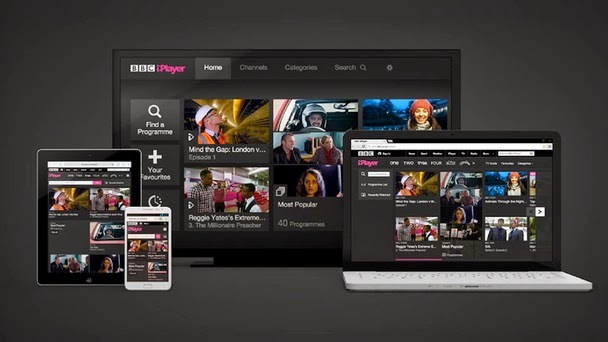 The BBC have launched an upgraded Iplayer. Redesigned from the ground up, the new version of BBC iPlayer brings together a new look and feel with core functionality that is built for the future. It makes finding content simpler, discovering new content easier and allows more options for the curation of content. Playback is richer and the viewing experience is tailored to the device being used by the viewer. In the coming months, the BBC iPlayer mobile and tablet apps will be updated with the new look and feel – providing audiences with a consistent iPlayer experience across even more devices. he BBC also announced today a raft of new iPlayer commissions that introduce audiences to new talent, and give established favourites the chance to do something different and innovative. Acclaimed journalist and storyteller Adam Curtis will bring iPlayer a radical vision of contemporary Britain, exploring the themes of hypocrisy, deception and corruption with his iPlayer trilogy: Out There, At The Mountains Of Madness and Dream Baby Dream. Available on BBC iPlayer from July 2014. A Chelsea Flower Show collection – a collaboration with the Royal Horticultural Society that takes viewers on an exclusive in-depth tour of the show gardens. Available on BBC iPlayer in May. 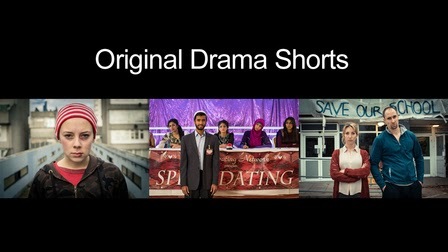 Original Drama Shorts is a brand-new, two-year commission for Drama Production and is the first time that we have made authored original content for online not connected to an existing brand. 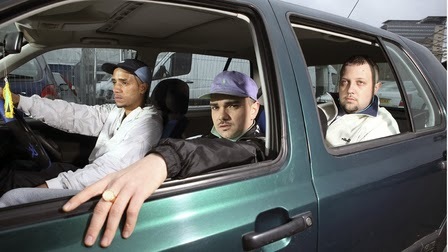 A mockumentary about pirate radio station Kurupt FM and its crew. The writers/performers/creators are a group of friends who had never done anything on television. They filmed themselves doing some five-minute comedy webisodes and put them on YouTube. After the BBC saw these, they were commissioned to write a full half-hour pilot as part of the very first batch of iPlayer pilots for BBC Three (called ‘Comedy Feeds’). The pilot was the most shared programme on iPlayer during the month of July 2012. It has now been commissioned as a 4x30-minute series for BBC Three. Seven original comedy shorts starring the finest British Comedians. Each comedian was invited to create a piece exclusively for BBC iPlayer, something they’ve always wanted to write or perform. With no fixed durations, the comedies are as long, as they are funny - these range from an Austro-German medical caper set in the 1940s, to a demented interactive cookery show. This iPlayer film takes us into the world of sci-fi fandom. We’re guided through the fans’ stories by Barry Nugent (The Nuge) and David Monteith (Monts) aka the co-founders of The Geek Syndicate website and podcasts. Science Fiction fans are as important as the creators in making the genre possible. With internet discussion groups, a lively fan fiction scene, and a growing number of conventions and previews, the fans are playing a role in the genre as never before. Adam Curtis will be creating a trilogy of projects specifically for BBC iPlayer. His aim is to explore the new possibilities for storytelling that iPlayer has opened up. "BBC iPlayer is far more than just a way of repeating programmes," he says, "I don't think we have fully understood what the new opportunities it offers are. But it frees one from the constraints of scheduling and format on the traditional TV channels - and I think that may allow stories to become far more emotionally involving and complicated." Curtis's three projects will be very different in the stories they tell - and how they tell them. But taken together they will be an investigation into how power really works in today's world.